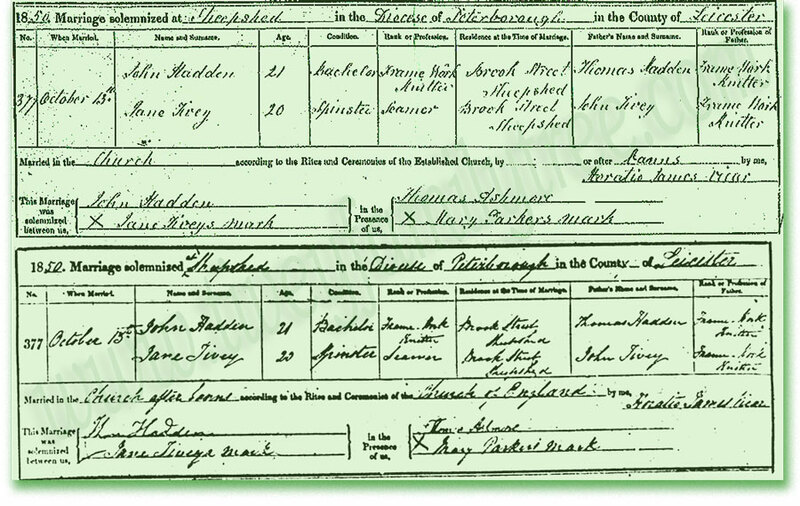 Jane Tivey, married John Hadden (AKA Haddon) at Shepshed (Sheepshead) Leicestershire - The top is a copy from the GRO (Registry Copy) whilst the bottom one is based on a copy of the Parish register, notice how neat the registry copy is compared to the Parish one! Thanks to Tony Paine for the Registry copy. Jane was widowed in 1856 and remarried to Charles Caurah.